This free line-style icon set ships with a total of 100 different icons. This collection is a re-mastering and expansion on our previous Divi Icons. The new set has been re-created at a new size and line-weight, and 50 new icons have been added as well! The download package includes the vectored .AI and .SVG files, as well as 32px and 64px .PNGs. As always, these icons are completely free to use, and have been released under the GPL. Update: These icons are now available as an icon font as well! Using the Icons on Your WordPress Website. This pack includes .PNG assets at two different, pixel perfect sizes that you can upload to any WordPress site. We have supplied them in only one color, but you can use the .AI and .SVG assets to fully customize them with any vector editing software, such as Adobe Illustrator. 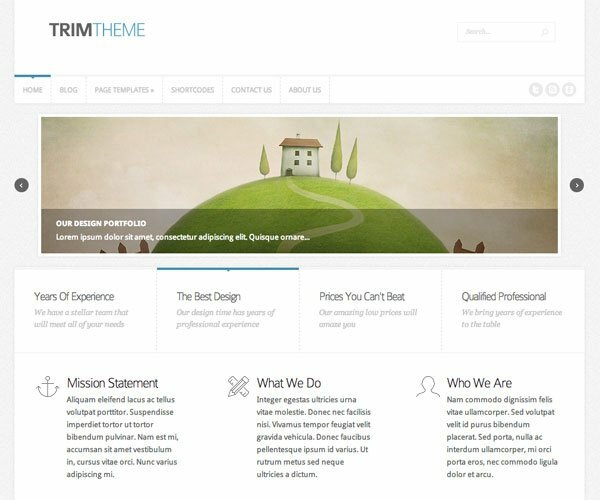 Here are a few examples of how they can be used with your Elegant Theme. Love what you guys are doing with Divi and all these great free resources. I put out a post about Divi and I can’t believe the response! Many thanks to Kenny and Nick and the team. These look great! Excuse my ignorance, but how do I use these on my pages? Are there instructions that I can refer to and download as reference? Did you ever figure this out? I have been searching to no avail. haha, funny how that happens. Thanks for the kind words, Andi. Andi — you picked the right company! I was new a year ago when I joined ET. I’m doing three different sites with three different templates. Good support all the time and most of the time excellent! If you are new to WordPress, it helps if you understand CSS and HTML. I started with an easier template, Memoir, and I’m glad I did. It helped me to “learn” without getting too overwhelmed. Just a suggestion. I fully agree with Andi. Elegant Themes really rock! Fresh and really cool designs, useful plugins, hands down the best support in the business, and an unbeatable price. I wish the world was a little bit more “elegantthemesish”. Thanks for inspiring me do my work as beautiful as you do. Great package Kenny. There’s some beautiful icons included in there. Thanks, Kevin! Hopefully this set will continue to grow. Great work ET & Kenny! You guys are incredible … I would say, with some conviction, that you guys could run for company of the year award. The resources & community focus that has grown even during my stay is brilliant. Life time member .. lucky me. I just wish I had more knowledge & more time to apply to my web life. Thanks, Chris! There’s always time…and coffee 😉 Glad you have been enjoying the resources! Thanks for the great gift. Is there a forum for the Diva Theme? The theme doesn’t look so great on an iphone? How do we correct that? Help. login to this site with your username & password and you will see a tab for “Support”. Choose the Divi section and you will find that is where the rest of us try and iron things out regarding this theme. This is very nice, well done! I used the first set and it was very good and well made. I loved it! I was wondering: do i have to navigate the whole blog to find all your freebies, or is there any page were you summarized all of them? Would be nice to have a page where people can easily find all the freebies to download the last version of them. A day will not pass without crawling elegant site, you know how to plug us in! Thanks for the icons! Thank you guys, but let me give you a tip: with so much free stuff (this one and the others previously released) I think you would set up a twitter share for every article/freebie. Kenny, these are great as usual! Thank you! I don’t want to sound greedy or unappreciative, but I would really love to see more of the Photoshop templates with smart objects that you guys have been providing! Those are awesome and love using them. Again, thank you for all your great freebies and articles on your blog! Thanks for the suggestion, Kraymer. We will definitely put more of these on the To-Do-List. great job on the icons. I just wonder if its possible to consider a wider range – next time you get time and feel creative. For example, the four seasons (Earth, Air, Fire, Water). sunshine, rain and so forth. of particular interest to me right now are icons that have meaning to trades-people. hammers, spanners, pipes, taps, toilets, showers and so forth. these are just suggestions. Keep up the good work. We always appreciate the suggestions, John 🙂 As we expand sets like these its always good to hear what people would like to see next. It would be helpful to have a search function for the blog. And please ensure it relates strictly to the blog. Thanks Kenny and the whole Elegant Themes Team! You really understand what you are doing. Great themes, great designs, always up-to-date and most of all, you understand service. ET’s customer service and the forum is second to none. Whenever I’ve got a challenge and need help with a theme or customization it only takes a few hours, a lot of times only minutes and I got a response with a solution. This is so invaluable. Keep up the good work and really nice icons Kenny, you guys rock!!! Thanks a bunch! Cool stuff! Nice freebie. Thanks for creating and sharing it with us. Keep up the good work guyz, we love it! Thanks for the icons! like them, because they’re flat and easy to use for all. As soon as I discovered Elegant Themes I knew it was right for me with it’s awesome templates. Camera icon still have white background on lens. /png files/ I’m not sure it’s ok or not but when I colour overlay than middle circle of lens has gone. Anyway Thanks for the icons I like them! There were a lot more instances of that happening. The download link has been updated with a new set of corrected png files. Nice icons,Thanks for the free sharing. Just awesome as always. You guys don’t stop to make my life better! Keep the excelent work! Thanks for the icon pack … always a pleasure to visit the Blog and find something so useful. Good job, hanks for useful resources. Thanks guys, love your style of design , downloaded and used it on my personal blog. 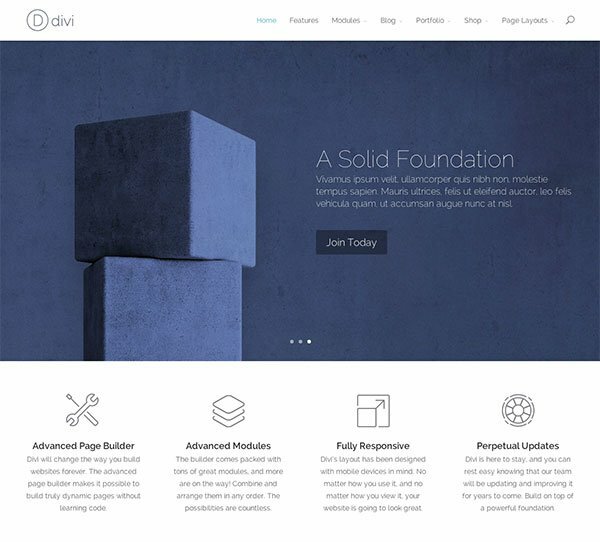 Just opened a new Divi site and used the icons. Really help to add interest to a page. Great icons, and thanks for the freebie. Are you planning on adding navigational icons to the set? Arrows and menu icons would be awesome. Also it would be great to see a few more icons for viewing, expanding and previewing images/thumbnails. All I see are image files… how do we go about adding these to the site with css? How to use these icons in Blurbs? Thanks for free stuff 🙂 But I don’t know how to use line style icon.Waiting for your response. hi, thank you for icons and font. I have one question regarding font, when I used this font for facebook, twitter icons, I found those icons blurry, I mean the image does not look very clear as it suppose to. Can you please verify if you see the same and is there any solution to this problem ? Whoever designed these beautiful icons is a god/goddess. Love you guyz at Elegant Themes. Cheers! I’m in the process of re-doing my website, so I’m shopping around for icons and such. I downloaded these, but it looks like they’re only compatible with Mac. Is that correct? Nice Set Of Icons! Really loving it. I love your icon set.